TGIF! Moms, you are gearing up for another Halloween...take time for yourself! Join us for a beautiful Friday afternoon hike at Wunderlich Park in Woodside. We'll climb the 4 miles to Skyline, and then enjoy a leisurely lunch (and early happy hour!) 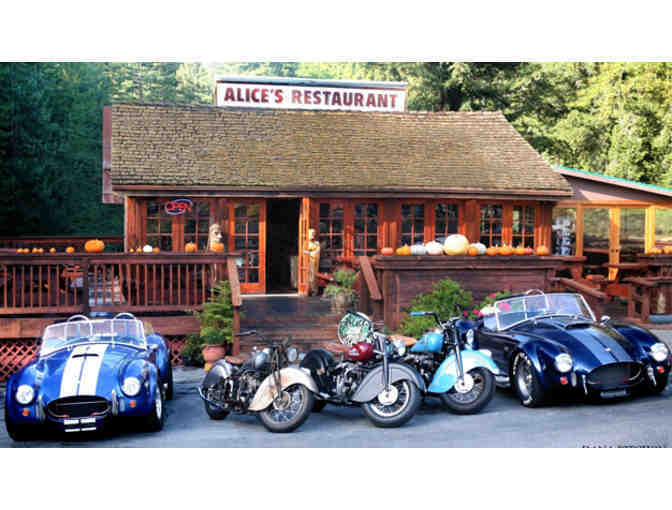 at the incomparable Alice's Restaurant. We'll relax on the deck beneath the redwoods for a while before embarking on our hike down, which, post-happy hour, will be another kind of challenge! Join us for the Friday afternoon fun.